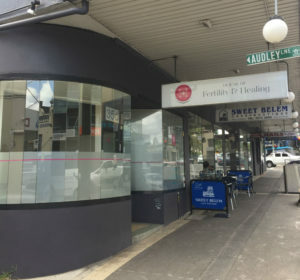 House of Fertility & Healing (HOFH), the continuation of the first ever pregnancy acupuncture practice in Sydney was initially established by the renowned Paddy McBride in the early 1990’s. Upon Paddy’s decision to return to her roots in New Zealand she entrusted her busy practice to Ngaio. The practice moved from Annandale to the wonderfully eclectic Newtown in 2009, then relocated once more in 2017 to fabulous art deco premises in the heart of Petersham, otherwise known throughout Sydney as ‘little Portugal’. And here we remain, still a boutique urban clinic dedicated to deep healing. We continue to do our best to operate in an environmentally-sustainable fashion (sadly we had to surrender our solar panels, herb garden and rainwater tank when we moved). And we are just as passionate about our work as before. We have grown. There are 4 of us now, all with a special interest in your IVF fertility support, your pregnancy. Kevin Redmond has stepped up to assist Ngaio keeping the clinic running smoothly. Ngaio’s vision of creating an accessible professionally practitioner-run centre based upon the fundamental tenet of Chinese medicine which is about living in harmony with nature, a fecund space benefiting all those who enter, bore fruit in 2009 when she conceived gestated and finally birthed House of Fertility & Healing. Here, 7 days a week, a small team of practitioners work cohesively, inter-referring amongst each other and to other awesome allied and western medical professionals and hospitals. Fundamentally we use similar treatment protocols utilised by all the practitioners at the House as part of their own busy practices, ensuring continuity of care between the different clinicians. Since its inception in 2009 House of Fertility & Healing has established itself as one of Sydney’s premier Acupuncture & Chinese herbal medicine centres with a clinical focus on pregnancy and IVF fertility support. We support life and try to keep it real in the process. We invite you to enter our door, allow us to usher you toward peak health, deeper relaxation, & increased ability to flow within the chaos of Sydney.